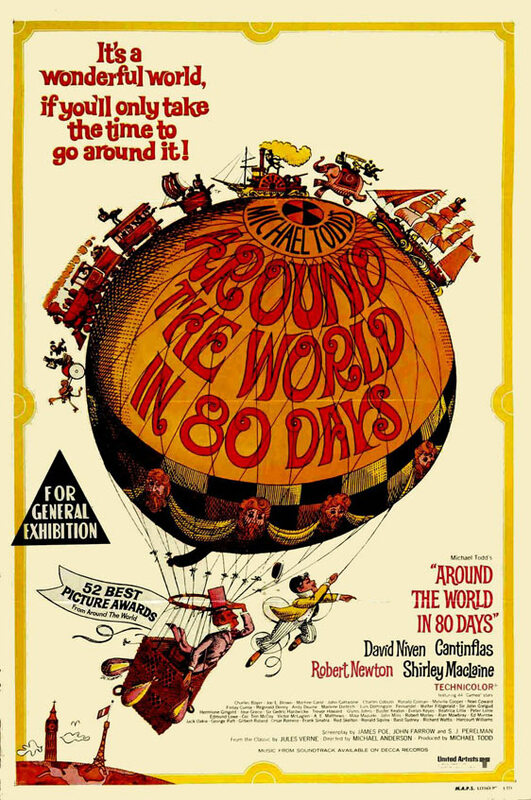 Synopsis: A Victorian Englishman makes a bet that, with the new steamships and railways, he can travel around the world in eighty days. Did You Know? There were 74,685 different costumes featured in the film. Quotables: PHILEAS FOGG: Steward, my Thursday meal has always been, and will always be: hot soup, fried sole, roast beef and Yorkshire pudding, baked potatoes, suet pudding, and treacle. A film that is supposed to be culturally enlightening has got to be the most xenophobic film in history. It posits the rich, white men as saviours, superior to all else, and parades everyone else as barbaric, uncivilised simpletons, in desperate need of the white man’s help. What’s worse is that almost all of the speaking roles are played by white actors. The one that specifically comes to mind is Aouda, an Indian princess played by Shirley MacLaine. With such subtle propaganda, we teach our children, very early in their lives, to have preconceived biases and fears of people that are different from them. We teach them that they are, therefore, inherently superior to these people, and that we should pity their “primitive” cultures. Maybe I’m overthinking this lighthearted family flick, but it’s these charades of cultural stereotypes that leads the ignorant further away from enlightenment and erudition.